'Do you want a political debate, or do you want answers?" growled the witness, glaring at the Blueshirt TD who had the temerity to pepper him with questions. Oh dear. Gentlemen (and lady) of the Banking Inquiry - you've been Biffo'ed. It was classic Brian Cowen. He drove in through the back gate of Leinster House, then marched through the building and headed for the Kildare entrance where the posse of press he had successfully evaded were keeping vigil, to set out his stall in no uncertain manner. He was here to do the business, he declared. To set the record straight on his time as finance minister in two successive Fianna Fáil-led governments, to sort out his detractors and put forward the case for his own defence after four years of self-imposed silence. He had no entourage in tow - none of the trappings of his former life as Taoiseach when he would've arrived into the committee room amid a swirl of spinners, staff and supporters - just an armful of folders and an air of determination. There was a heightened sense of expectation which none of the various financial poohbahs had created; after all, this was the person who had the bird's-eye view of the country falling over the cliff. Then there was the question of which Brian would show up - Combative Cowen, or Becalmed Brian. In the event, both did. But first he came out fighting. He may have struck an initial conciliatory note in his opening statement, starting off with a prompt apology. "I accept full and complete responsibility for our role in, and response to, [the] crisis," he read aloud to a fully attentive audience. "I'm sorry that the policies we felt necessary to put in place in responding to the financial crisis brought with it hardship and distress to many people," he said. And although his first day of evidence was focusing strictly on his tenure in finance, Brian touched on the fateful September 2008 bank guarantee. "We were on our own. We had one shot at it. If we didn't get it right, Ireland would have been set back 25 years," he stated. But as soon as the questions began, the velvet gloves came off the big bunched fists which gesticulated furiously during his replies. 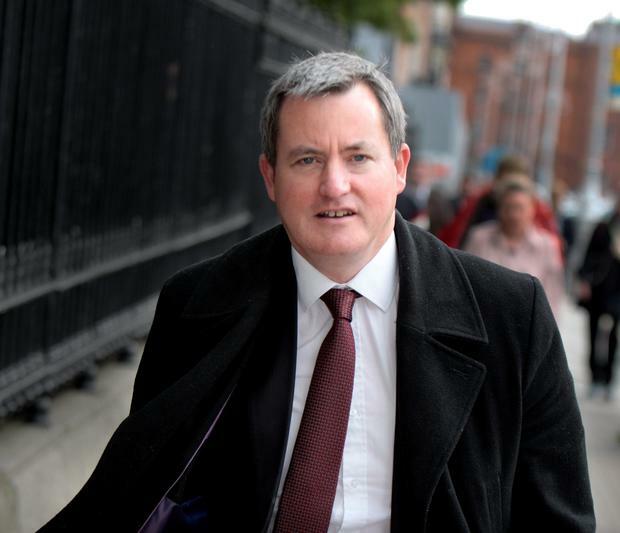 He immediately tangled with Fine Gael's Kieran O'Donnell who was pressing him on whether certain budgetary decisions caused or exacerbated the property bubble, with Brian getting increasingly tetchy. "It took you five minutes to ask it," he snapped at the Limerick deputy who was protesting over the lack of time he had to complete his question, and then launched a kick at projected growth figures in Fine Gael's own 2007 election manifesto. Chairman Ciaran Lynch promptly jumped in. "Mr Cowen - Mr Kenny will be coming in in due course to talk to…" he began, when Brian interrupted. "He mightn't know that, you see, chairman. He mightn't know," he said snidely. It was ever thus. A Blue shirt is still a red rag to the Biffo bull. For a couple of hours, the digs kept flying. He gave short shrift to Joe Higgins's suggestion that he encouraged the worst excesses of the banks. "You're setting me up as some sort of guy who's promotin' cowboy speculators. I'm not, deputy, I'm not. I don't travel in those circles at all…" he protested loudly. Nor was he having any talk that he was too cosy with bankers or builders during this period. "I am not owned by anybody, I am not beholden to anybody, I am my own man, I always have been and I am very proud of that fact," he insisted. There were flashes of defiance from the former Taoiseach. "People can have their criticisms of it but there is a very clear policy position behind what we were trying to do," he stated. But like a ring-rusty prize-fighter, his pugnaciousness fell away as the hours passed, and an all-too familiar torpor set in. His replies became more automatic and jargon-heavy, and it was all a bit reminiscent of the weird passivity which gripped his government during the hectic End of Days. Brian came out swinging, but faded before the final bell. Same old story, really.